Then ran 2 more to return home. It snowed hard for the 4 miles before. It was the dip in dots type snow… It hurt my face! But it was fun. 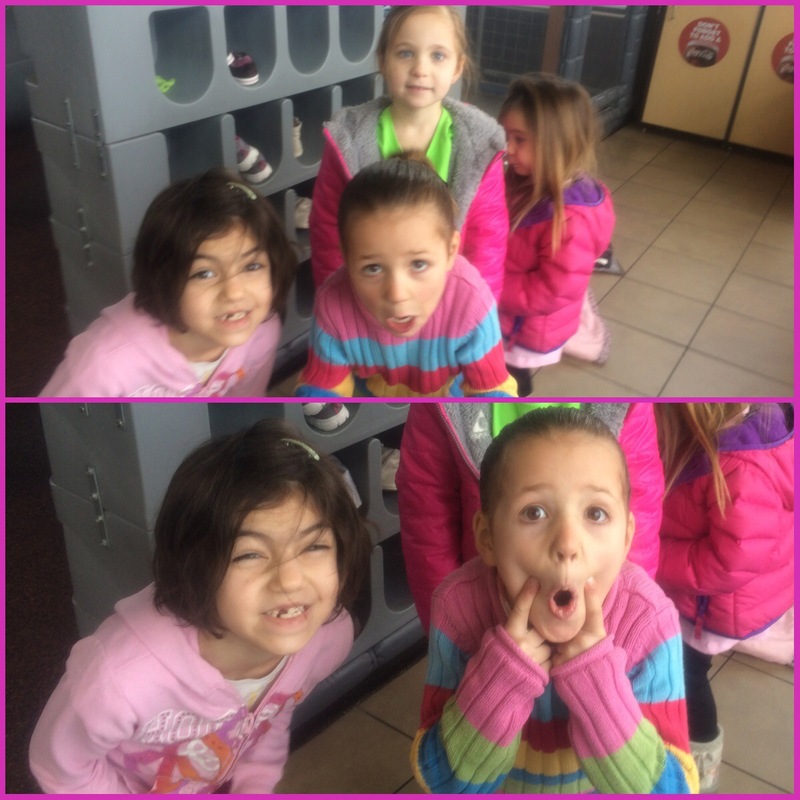 After I picked up my kindergartener we met up with a few other moms and their kindergartener’s for a lunch date. 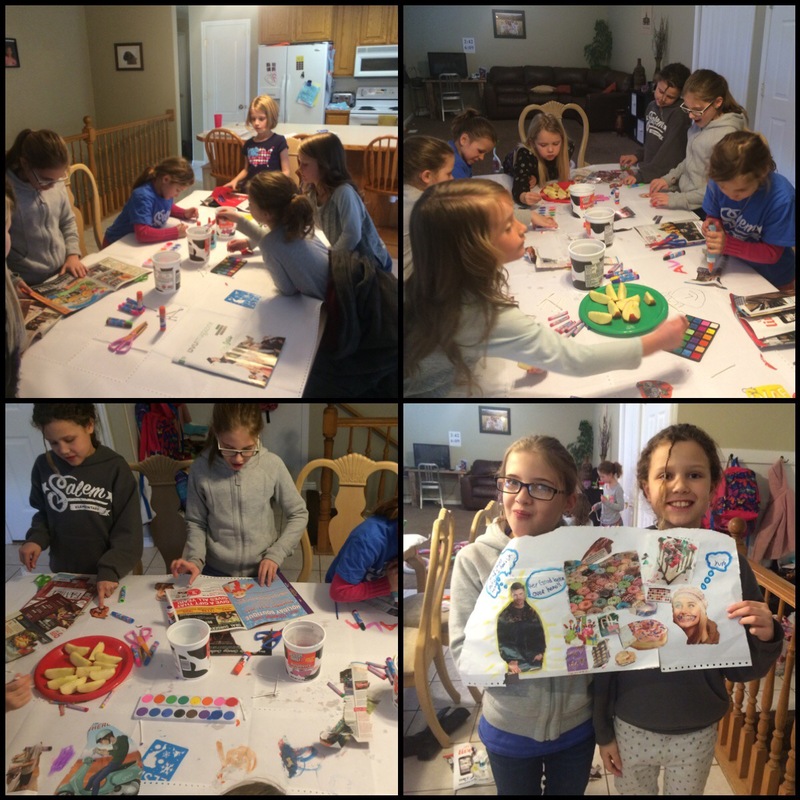 We picked the girls up from school, the 2 older ones went to activity days and then we went up to my sister’s house to hang out. 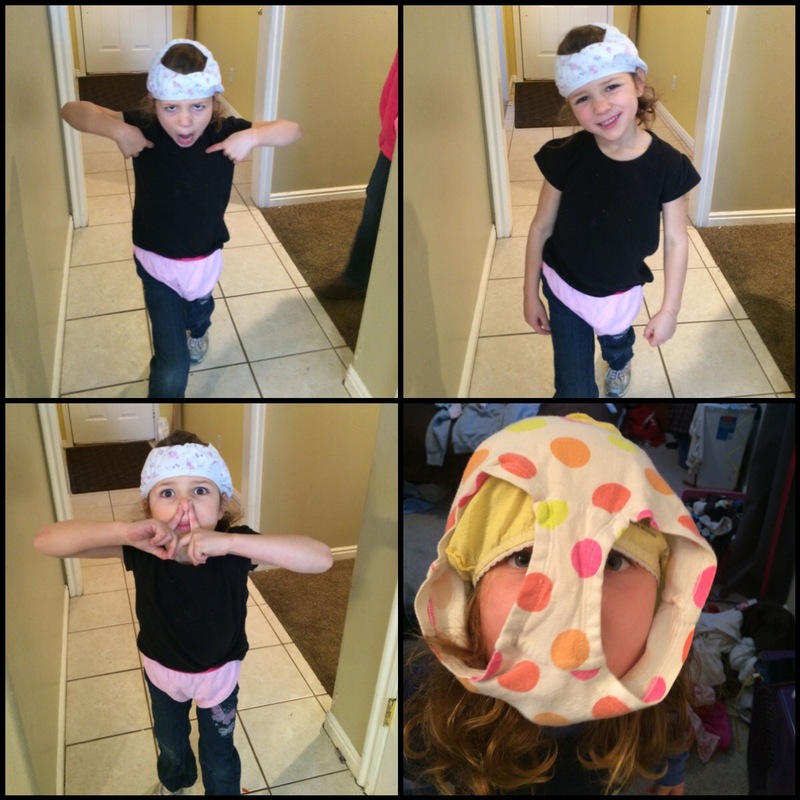 My mom is watching my sister’s kids for the week so the girls and I thought it would be fun to go play. 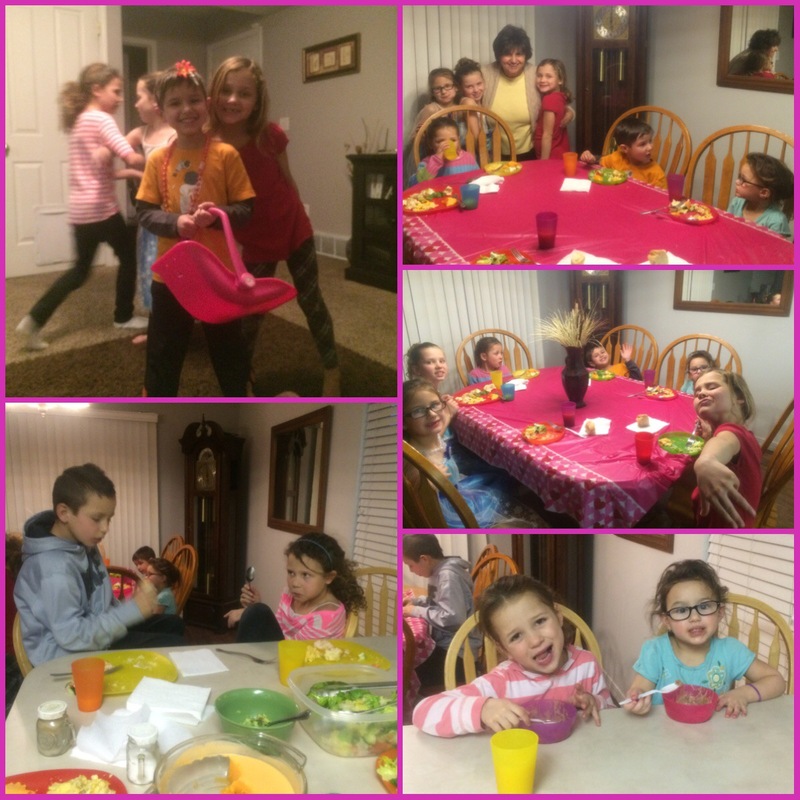 Dinner, crafts, games and dancing… It was a fun night for the cousins, my mom and I. My mom is so good with the kids. 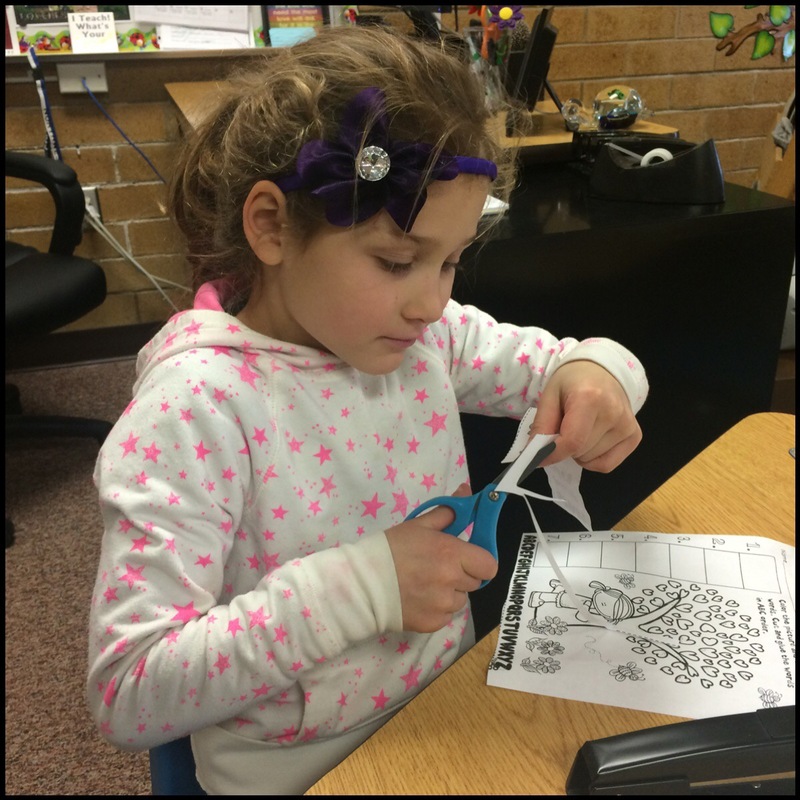 I don’t know how she does it but she is always so prepared with crafts and activities. Just watching her and her patience makes me tired. 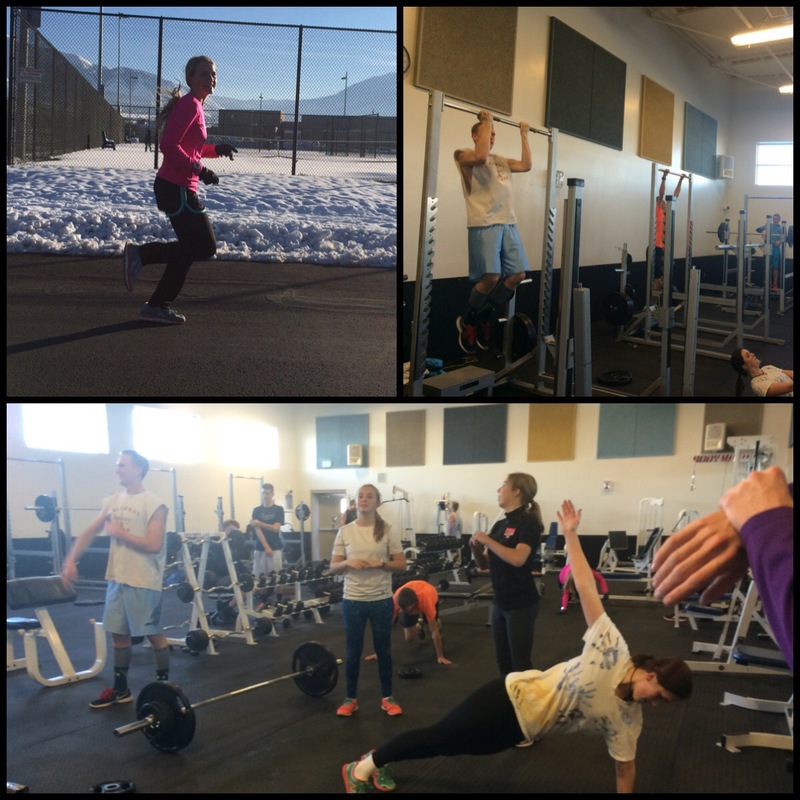 Thursday Jan 21st: I didn’t get out for a run today. At times throughout the day I was ok not getting out but then other times I regretted not getting up early to go for that run. I did substitute teach for my kindergartener’s classroom. Always a fun time! 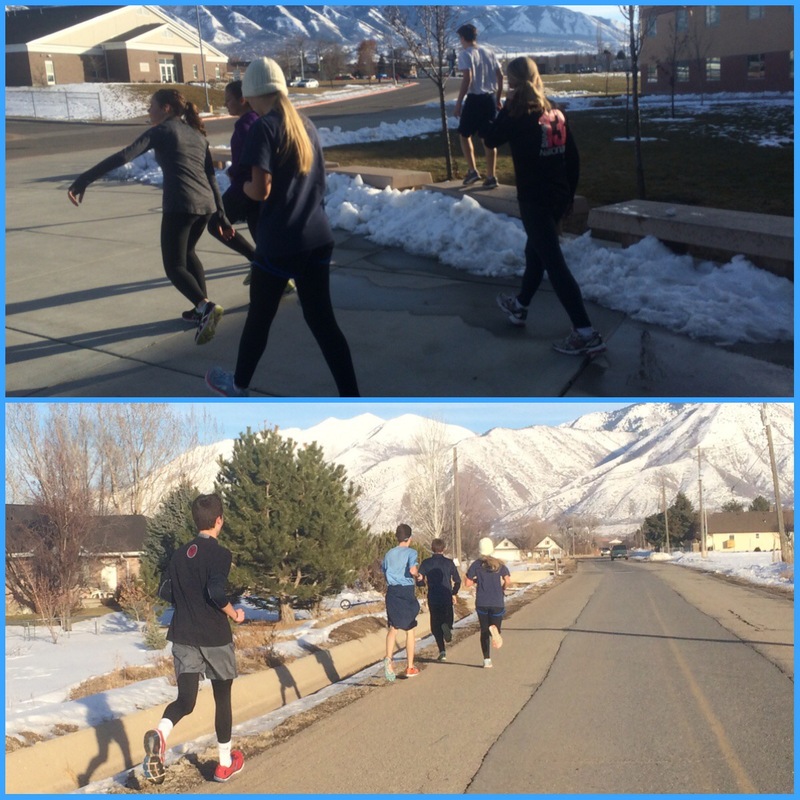 For track practice, the HS kids went out on an easy 7 mile run. Good kids! 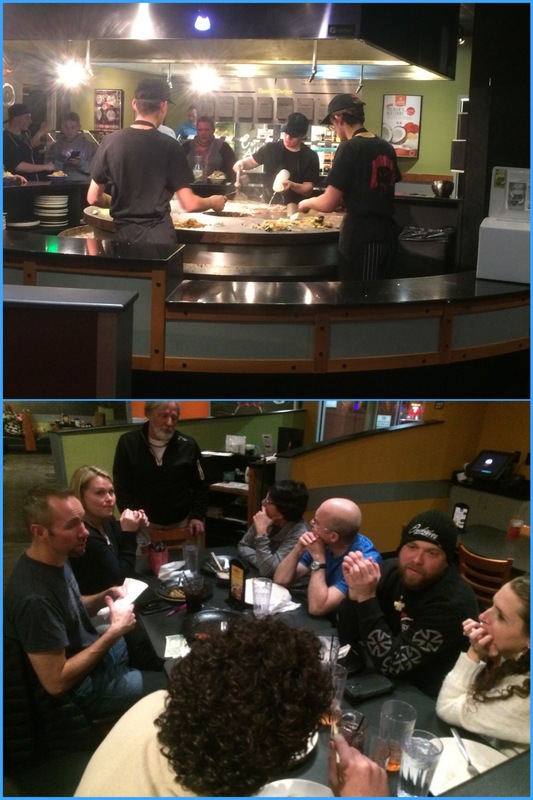 And then Corom and I met up with the Fullmer’s, 4 of the Booths and Gary at Hu Hot’s for dinner. It is Amy’s birthday and we are planning our annual adult kayaking trip. 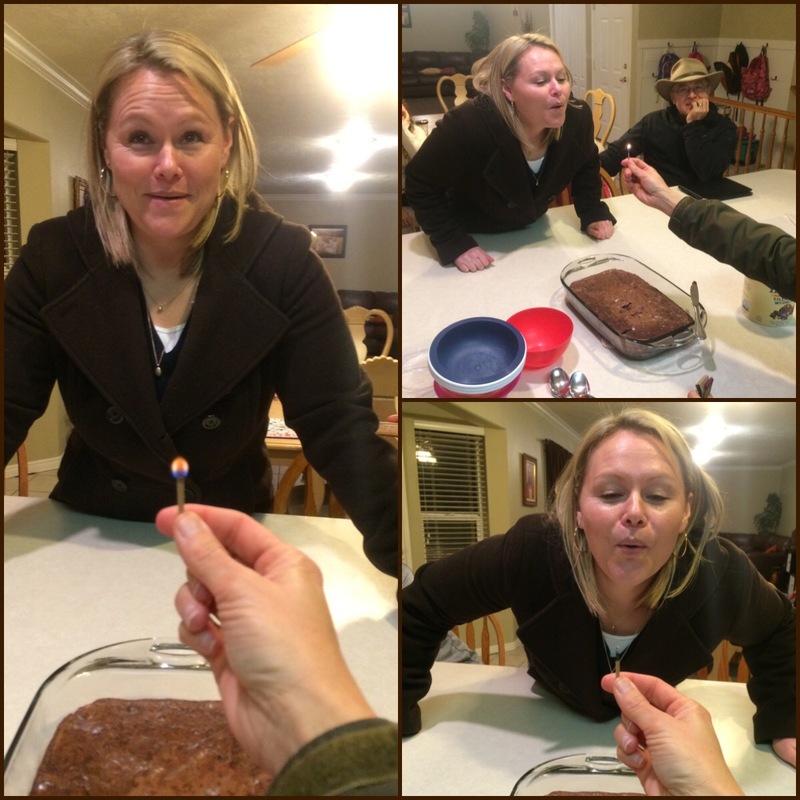 We came back to our house for birthday brownies! Friday Jan 22nd: I went out for an 8 mile run early in the morning. I woke the girls and Corom up when I got home. My oldest was a little upset. 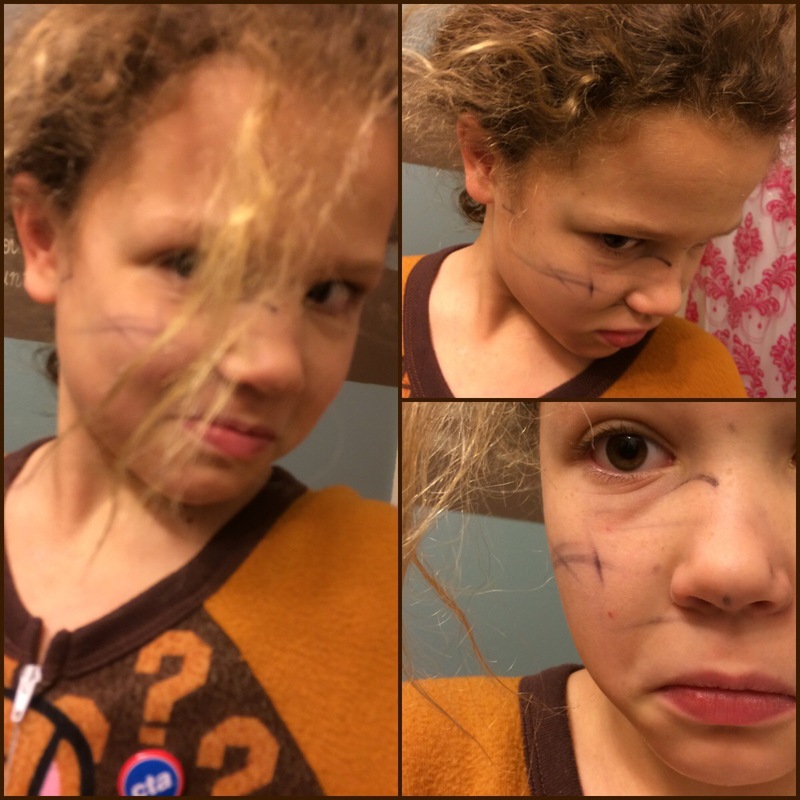 The girls have been having a marker war (drawing on each other’s faces) and my 2nd daughter marked up my oldest sometime during the night with a magic marker. They all get mad at each other for doing it but can’t stop doing it to each other. 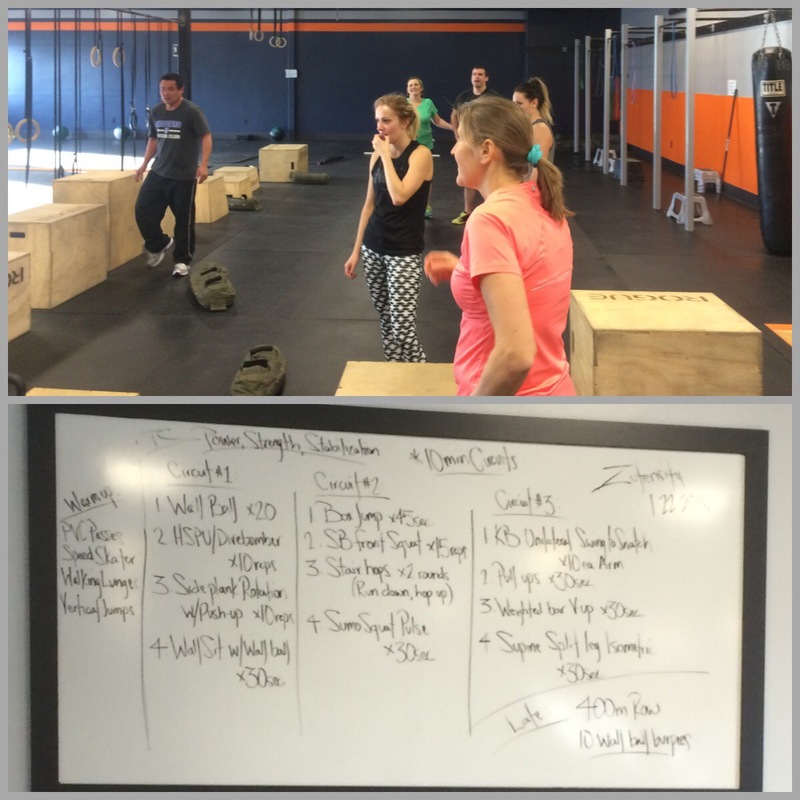 After the kids went to school, I headed to the gym for a Insanity class that lasted 30 min. It was tough. I have no upper body strength! 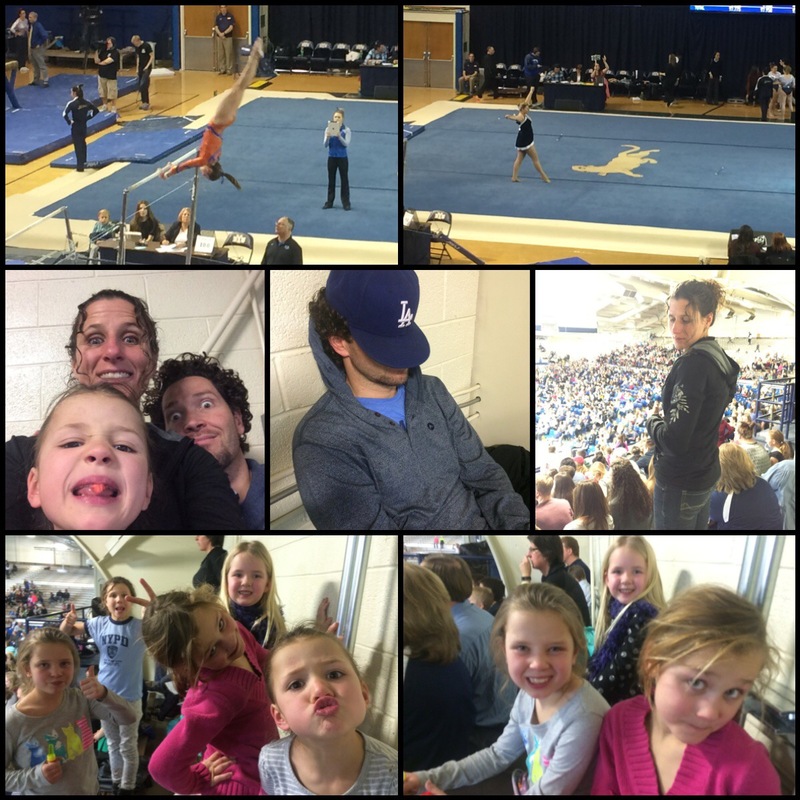 We headed to BYU to watch a gymnastics meet. The girls loved it. It was pretty entertaining. 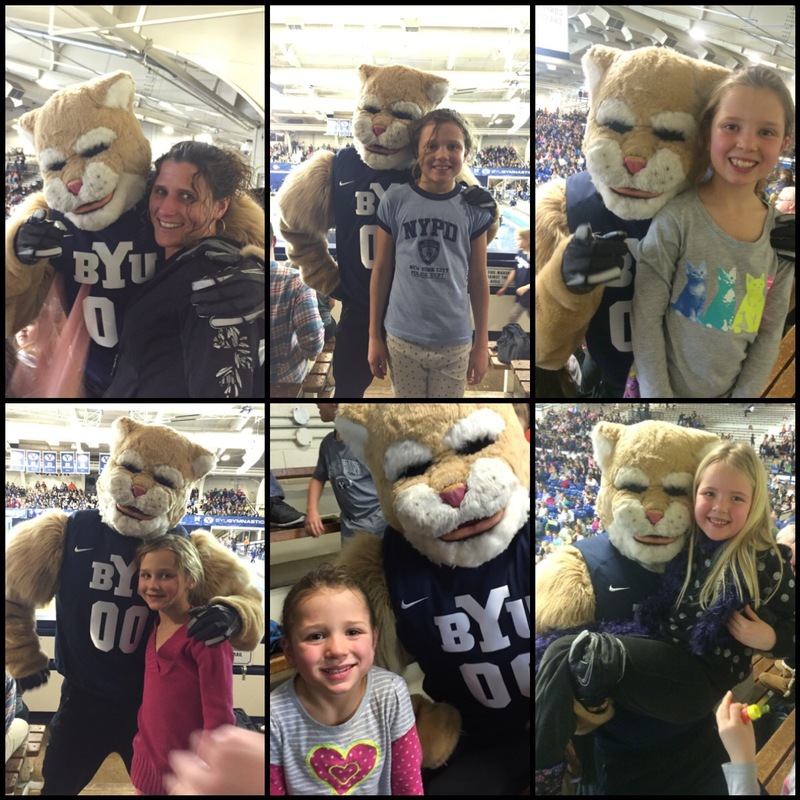 We were even more excited when BYU’s mascot (Cougar) came up to us. Saturday Jan 23rd: I got up at at 5:10 a.m. to go on my 8 or 9 mile run. Who really knows how far I ran. It was good, though. I went to a in-door track meet, while Corom stayed home and manned the kids. I don’t know who’s day was longer. 😉 The HS kids raced well today. 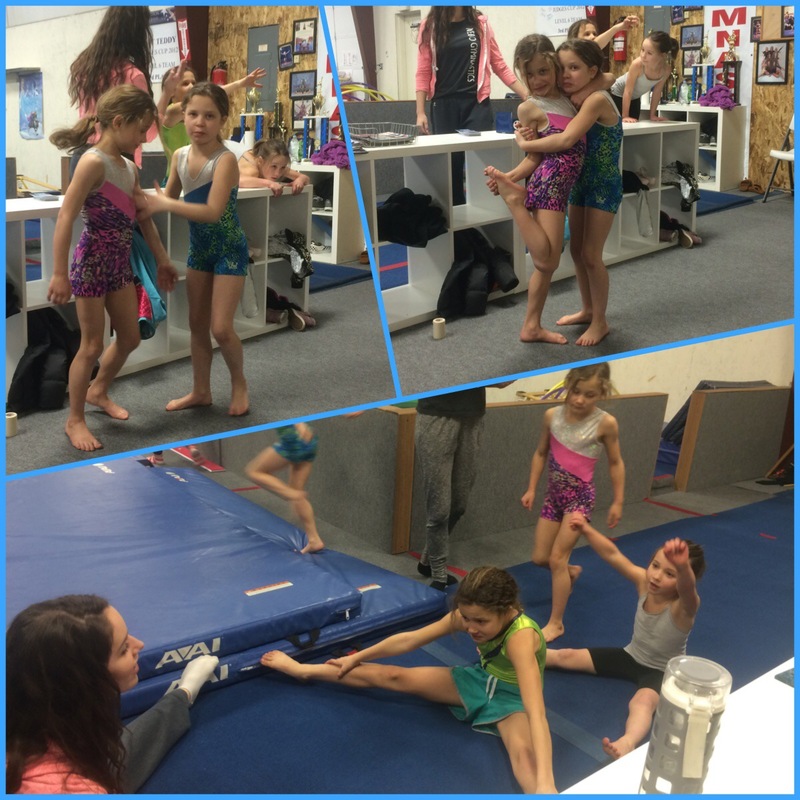 We didn’t have a big group today but it was fun to watch them. 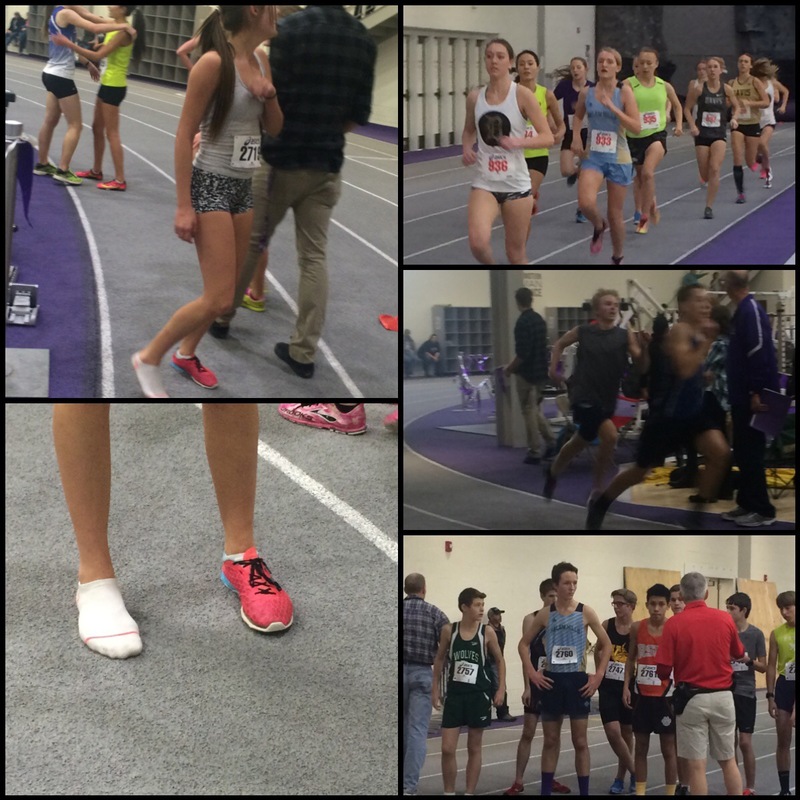 One of our girl milers lost a shoe on her 1st lap. She raced well coming in at a 5:40. 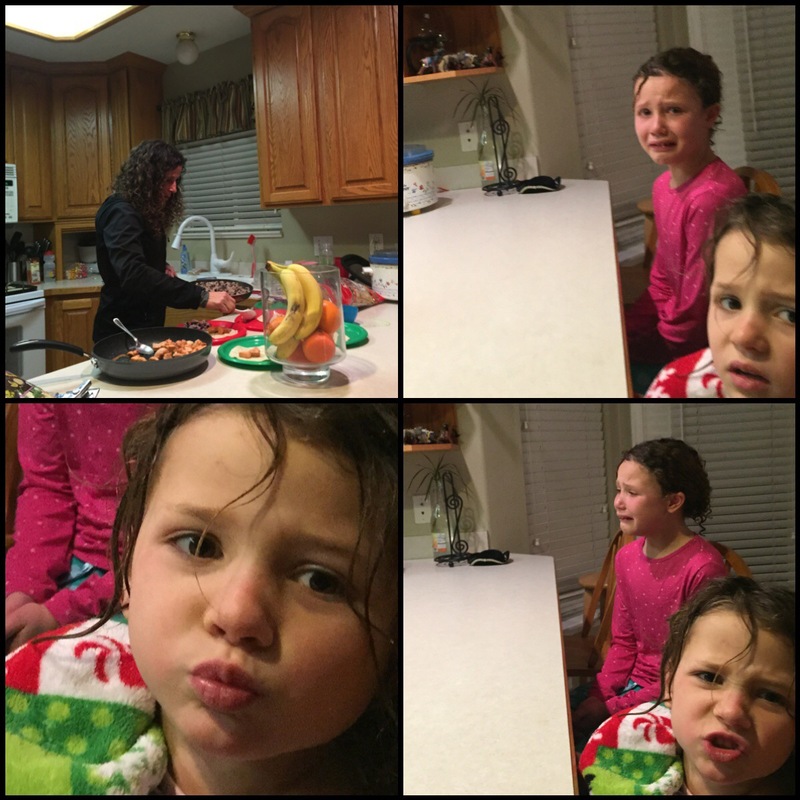 I came home to the usual… Making dinner, crying, laughing, chaos and fun. We watched a movie with the Fullmer’s when the kids went to bed. 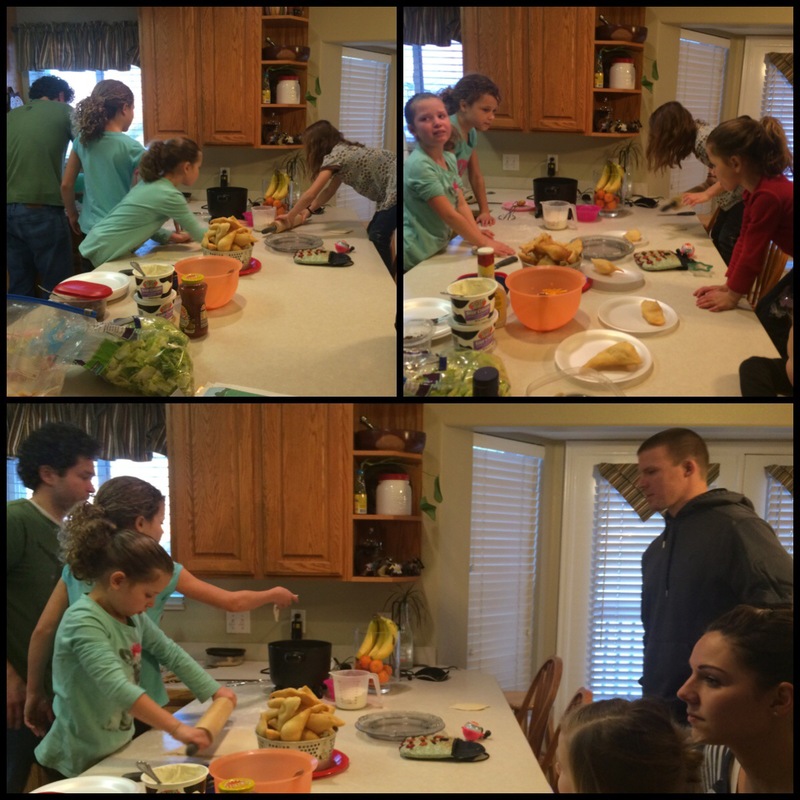 Sunday Jan 24th: We had a meeting at our house before church and then went to church. We left a little bit early today to head up to my sisters. 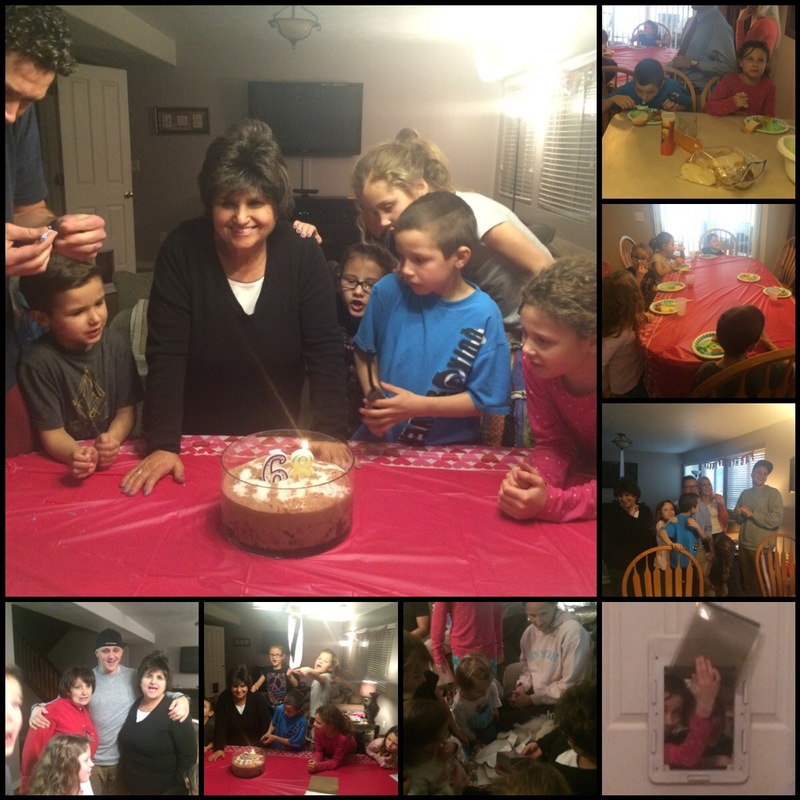 My mom’s birthday is tomorrow and we are having a Sunday dinner with my brother and sister that are also in Utah. Always so much fun hanging out with my family! I need to do it more often. 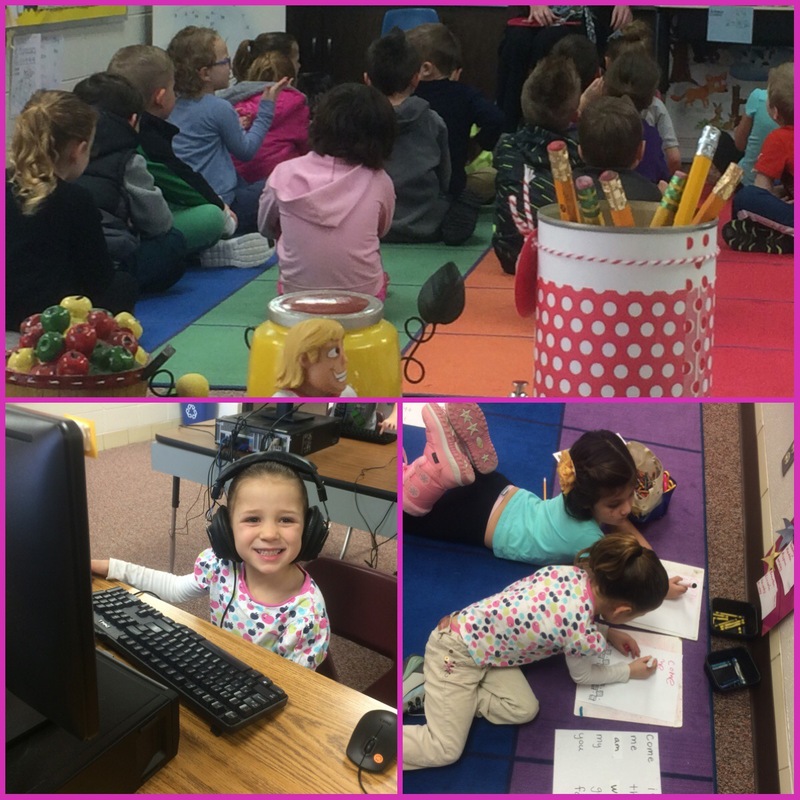 ran my mother in law to the airport, then went straight to the school to help in my 3rd daughter’s 1st grade class. 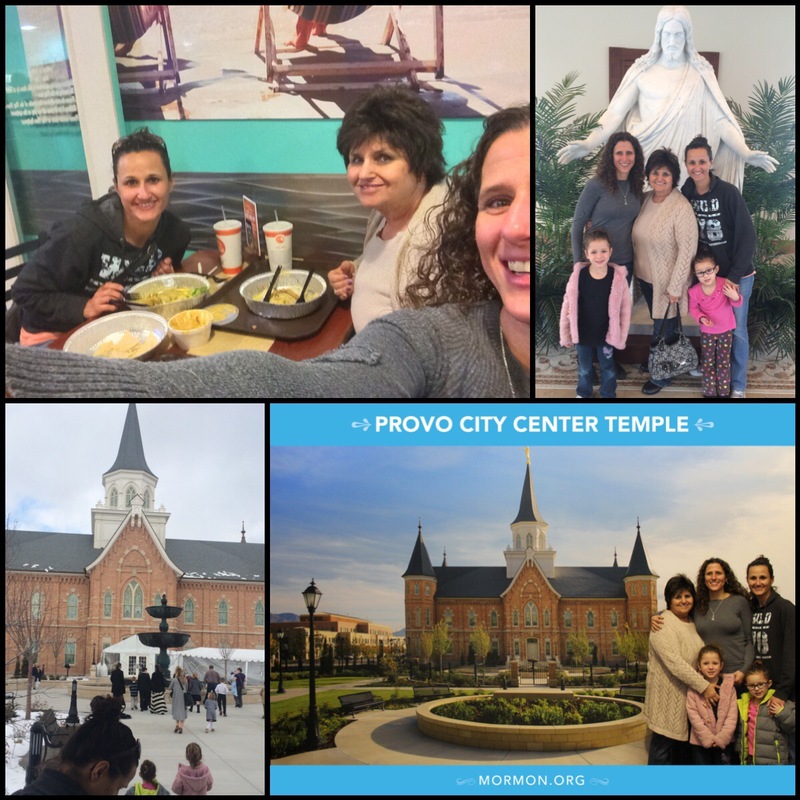 I grabbed my kindergartener and her and I met up with my mom, my sister and my niece for lunch (for her birthday), then went to Provo’s new temple’s open house. Soon we said goodbye to my mom (she has to leave in the morning) and I picked the girls up from school and headed to track practice. 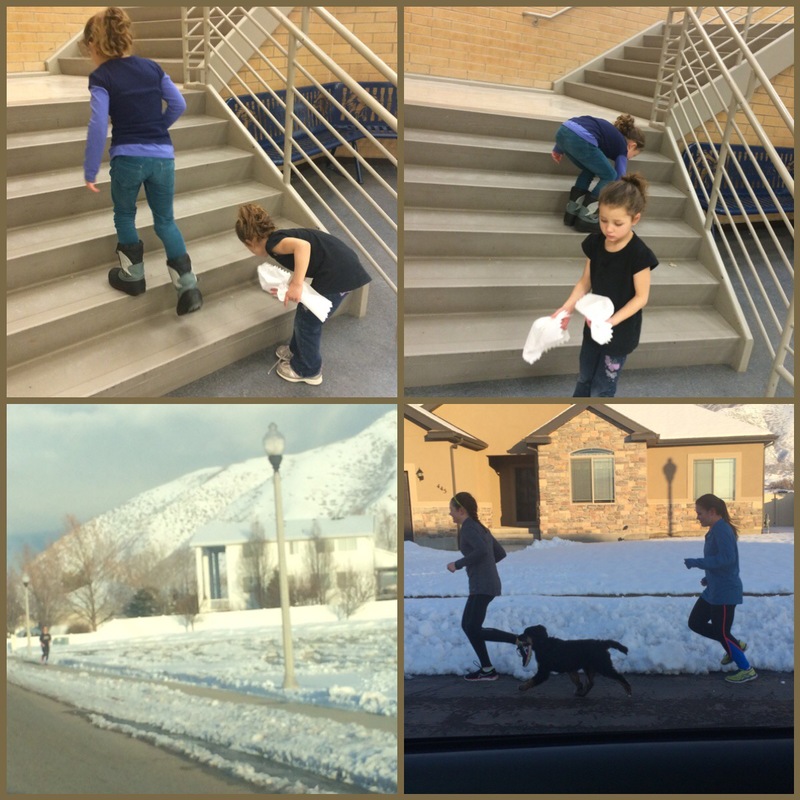 2 of my girls (2nd and 4th) decided to spit off the side of the railing (in the school)… I don’t know what they were thinking but when I found out (I’m glad no one else noticed), I made them clean all the bottom steps. I was a little upset. My 2nd daughter is actually a rule follower so she was way sad and embarrassed that I was upset. 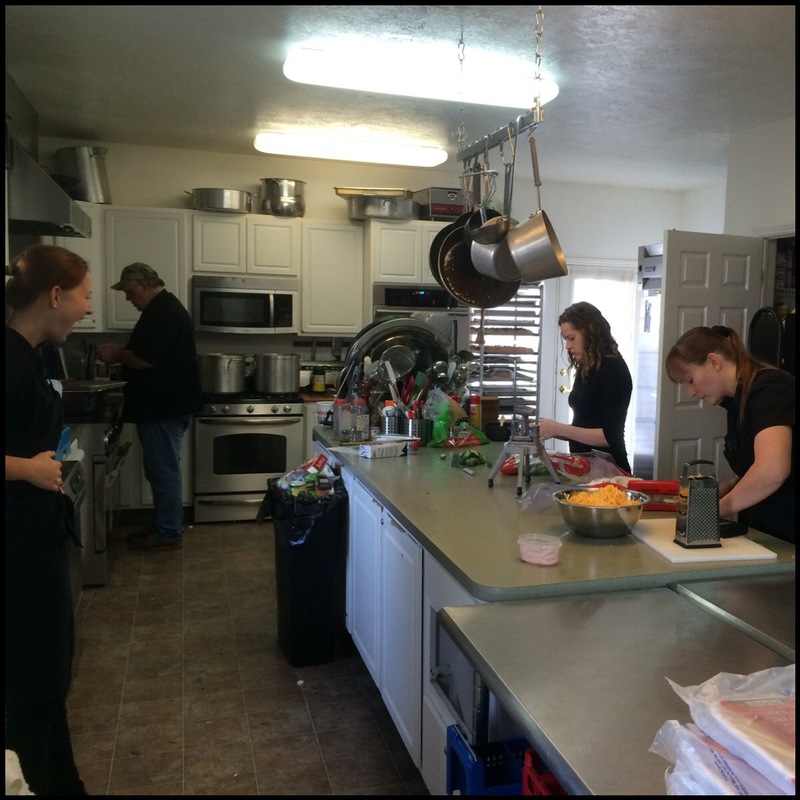 We had a new family over for dinner and a coworkers of Corom’s. 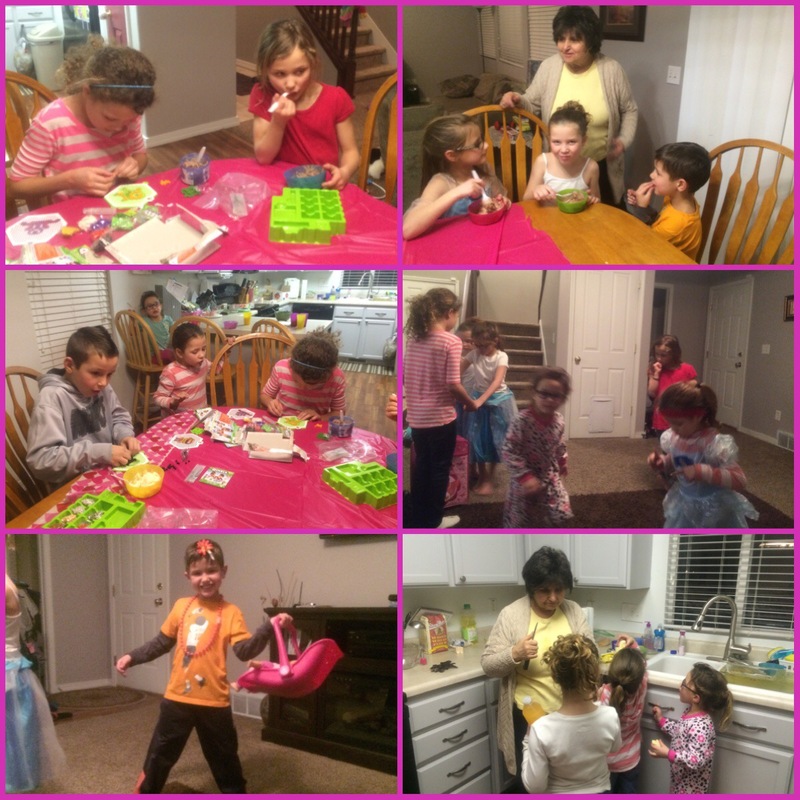 Then we had family night. Fun times. Tuesday Jan 26th: I woke up late and was unable to go on a run. 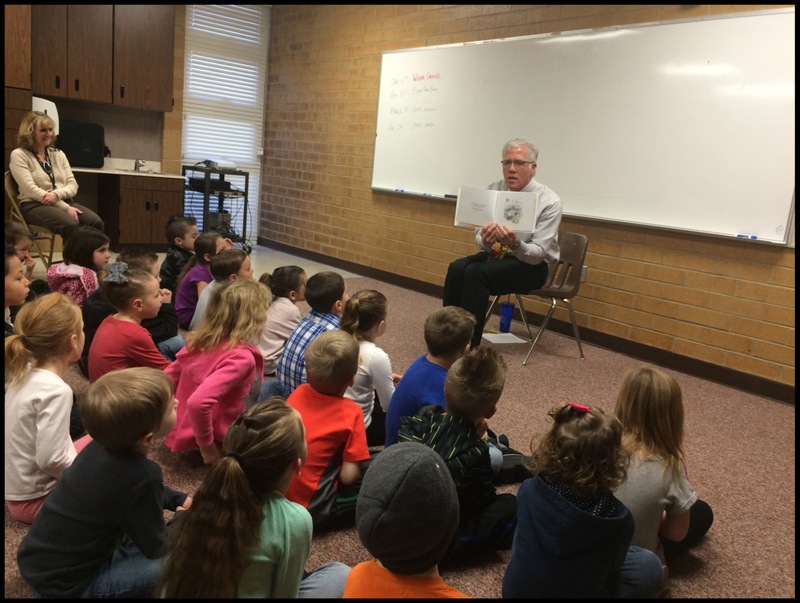 I substituted in the kindergarten class (not my daughter’s class). 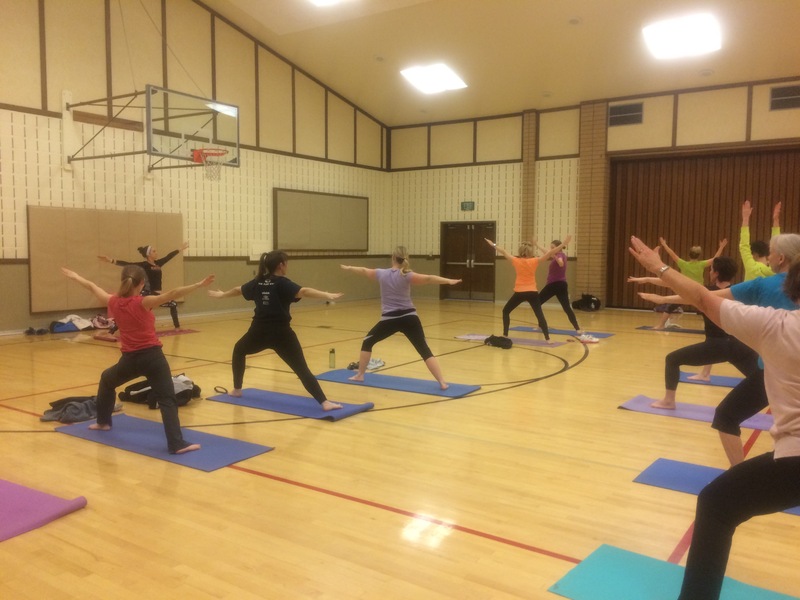 Corom worked a half day so it was nice to be able to run to practice with out worrying about the kids (and I don’t mean that in a bad way… I like my kids there… I don’t think they like it as much). After bedtime… A few friends came over to watch the Bachelor. I was just thinking of you and hoping all was going well. I know that feeling of being okay with an extra day off only to regret it later. Runner guilt is the worst! I have been just busy! I hope things are well with you!! Runner’s guilt is so hard. « A Weeks Worth-Ice Skating, Track, School & Life!